Whenever I become familiar with a plant I begin to see it everywhere, ubiquitous, like the name of a star who appears everywhere you look. 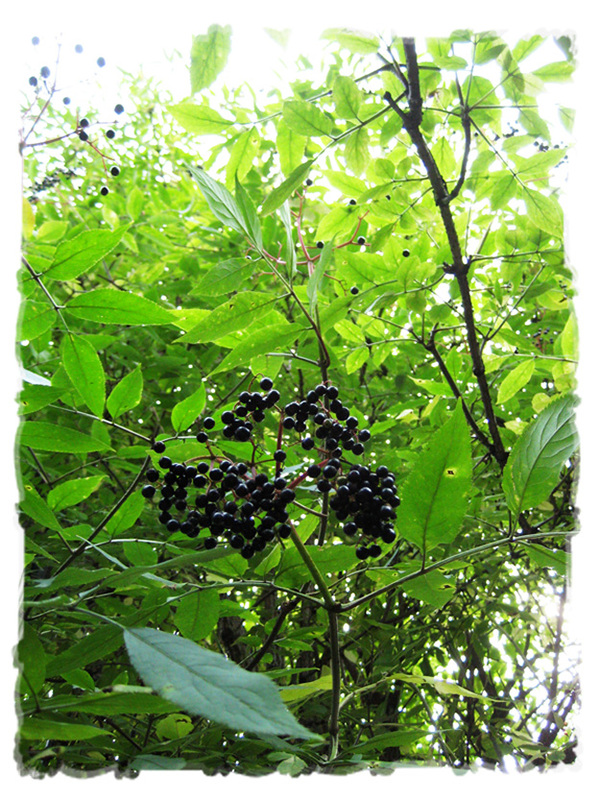 Each year the elderberry eluded me. I never knew it like I know the wild blackberry, sure of its stages, and though we knew where to find elders from gathering elderflower in the spring, we’d return each summer to England long past berry season. This summer we were resolute. On a sunny afternoon the children and I called on the first plants we’d collected flowers from, along an old greenway near our old flat in London, where nettles grow tall and rich and blackberries line the path. 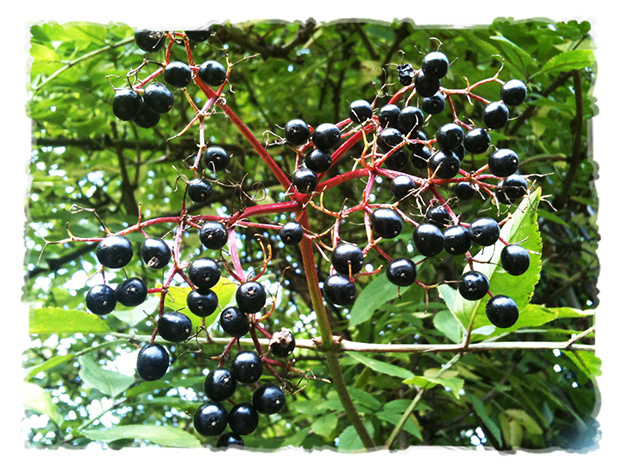 I was warned that elderberries are a bit poisonous raw, and so we still only imagine their flavour, though we’ve since heard that’s only the unripe ones. The bucketful we’ve picked are bound for a medicinal cordial, but may not make it past us to flu season. While the berries on the sunny side of the path were glorious black, in the shade there are green ones, there’s time yet to return for more elderberrying. 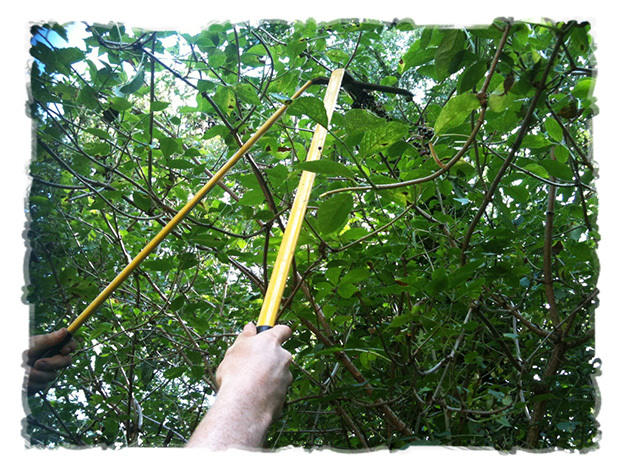 The elders grow tormentingly tall along our path, but we made a couple of friends, building at the end of a garden, who emerged with the perfect berry snips, and helped us forage a few extra umbels. Ever so kind! I spotted what I thought were plums high up, out of reach, and I’m delighted to hear they are likely damsons. My first glimpse of them. This is wild fruit I’ve only dreamt of in deep winter whilst poring over my copy of Hedgerow. 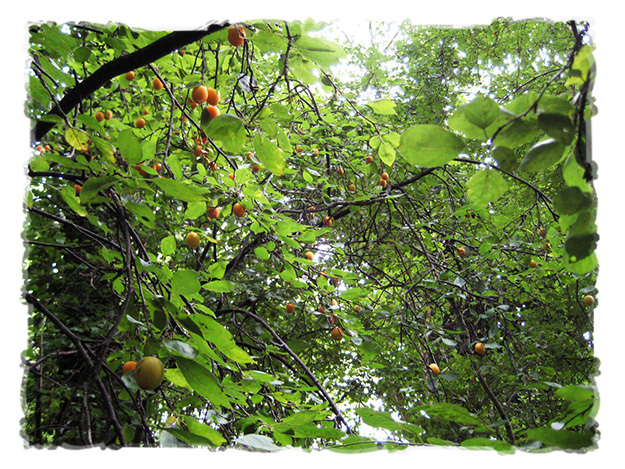 Our friends confirmed that we’d found a wild plum. Probably mirabelles, if Mark, the head gardener at River Cottage, can be trusted. He did just write their latest handbook, Fruit, which I must wrestle away from my tall girl so I can read it myself. 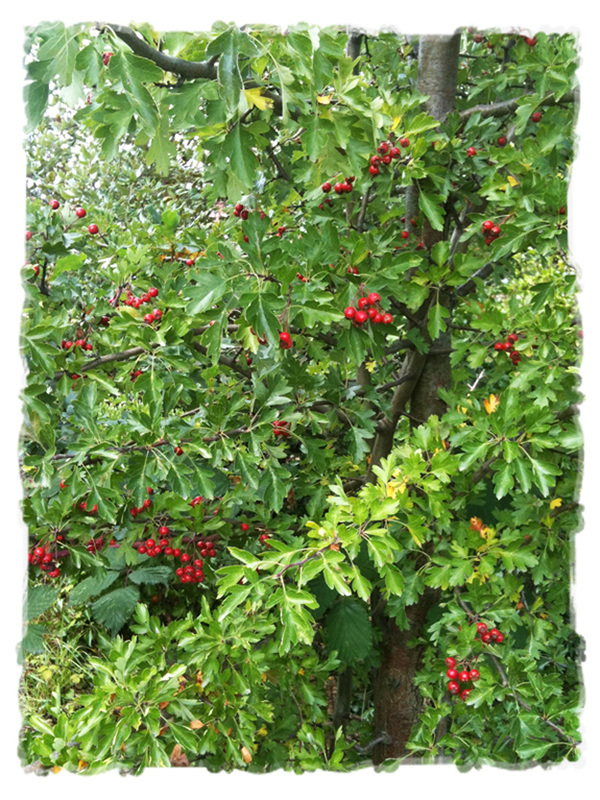 Our small girl was enchanted with the hawthorn berries and wanted to collect them. I’m hoping they will keep on the trees until we’re back in the countryside with our trugs and our preserving jars. I’ll be back soon to show you what I’m doing with all the wild food! Before you go, subscribe to the appleturnover postcards, which will commence with this autumn’s equinox, in celebration of a year of homemade stories. I’ll be marking the anniversary with a gloriously delicious project that tells the story of how appleturnover came to be. Get the postcards to your inbox for a peek at what I’m plotting to learn to make in the coming months and to catch singular homemade projects appearing in the impending appleturnovershop. Despite glorious weather in the south of England, the lot of us came down with a springtime cold. 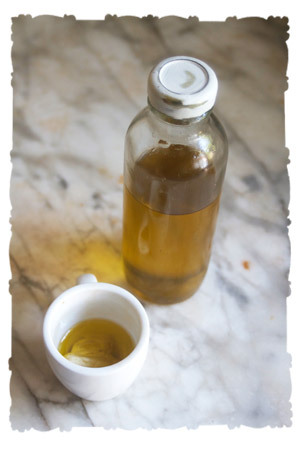 Unlike the dreaded lurgy we fought over the winter holidays, this was an ordinary cold, so I used just a few tried & true, traditional cold remedies from the kitchen and the garden. Fresh ginger root, with lemon juice and honey, to calm the throat. 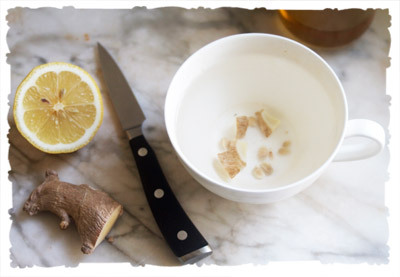 I pour boiling water over the ginger slices, allow it to cool a little, then stir in honey and lemon. 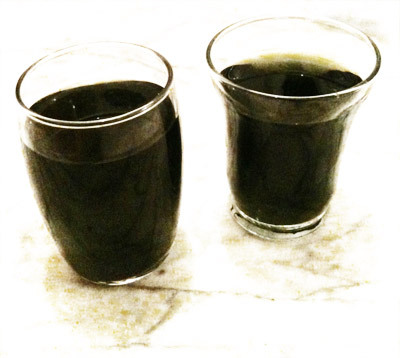 Sometimes I’ll let this cool further and shake in some vitamin C, which I sweeten with stevia in water and give my family at regular intervals. 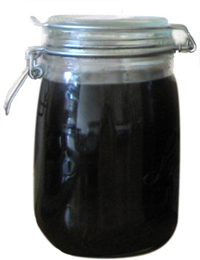 A daily dose of cod liver oil with naturally occurring vit D, is a good idea for us too, in my opinion! and dried wild nettles, or I can get them in the health food store. 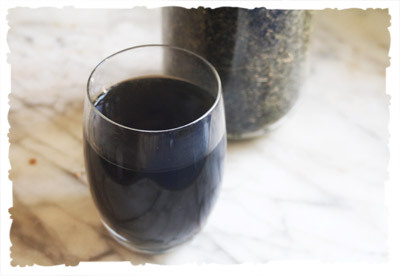 Extraordinarily rich in minerals and vitamins to strengthen the immune system and clear out toxins. Garlic, crushed and soaked in olive oil. My ears began to ache, so I prepared this and dropped it into them. Later on I had an epsom salt bath, and brought the garlic oil in with me, rubbed my feet with it, as well as the below my jaw where glands can get swollen. Luckily none of us had a sense of smell, as I’m quite sure it was pungent. But effective. I was better the next morning. We like to eat lots of garlic too, of course! We stayed in bed listening to my sweetheart reading aloud, and let the wind blow itself out. Today we’re all well and ready for some fun.